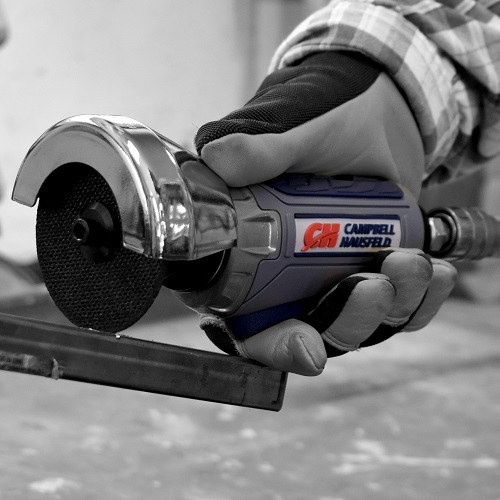 The Campbell Hausfeld Get Stuff Done Air Cut-Off Tool (XT200000) helps you tackle projects with ease. 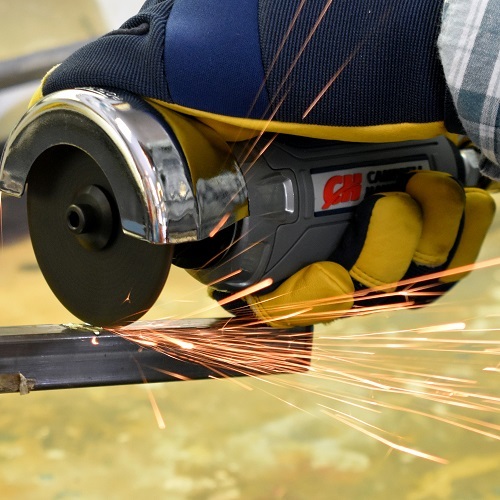 The ½ HP motor powers the 3” cutting disc through nearly anything - including plastic, fiberglass, composite materials, sheet metal, angle iron, metal tubing and more. The XT200000 also features a 360 degree rotating guard and secondary trigger-latch for user safety. 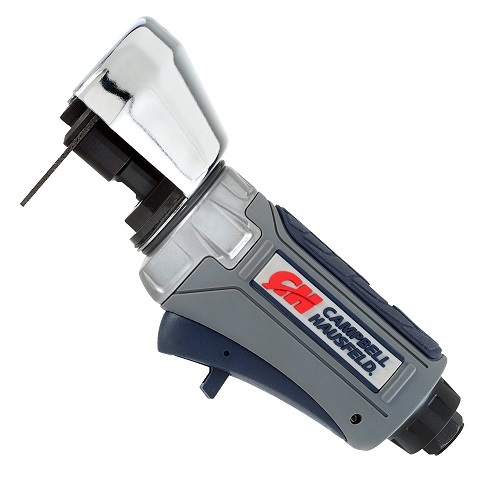 The multiple air flow adjustments makes control easy – all you need is a quick turn of a screwdriver. 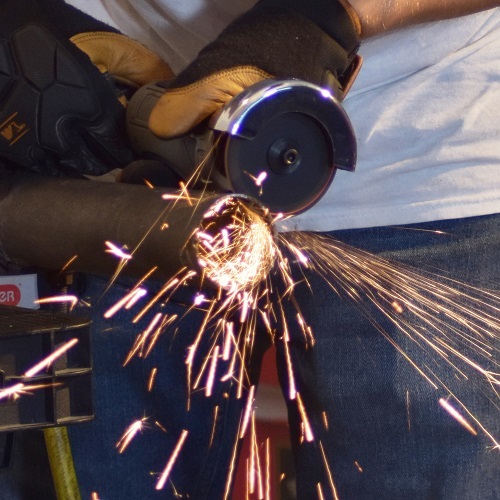 This Air Cut-Off Tool boasts a lightweight composite design (1.6 lbs. ), and a rubberized, comfort grip for a user friendly experience. With a free speed RPM of 20,000 the XT200000 will get stuff done in a quick and efficient matter. Average Air Consumption of 4.3 CFM @ 90 PSI. Maximum Pressure of 90 PSI. Air Inlet Size of ¼ inches. Minimum Hose Size of 3/8 inches. An air compressor with a tank capacity of at least 30 gallons is recommended. Get Stuff Done faster and easier with Campbell Hausfeld – The Air Power Expert. 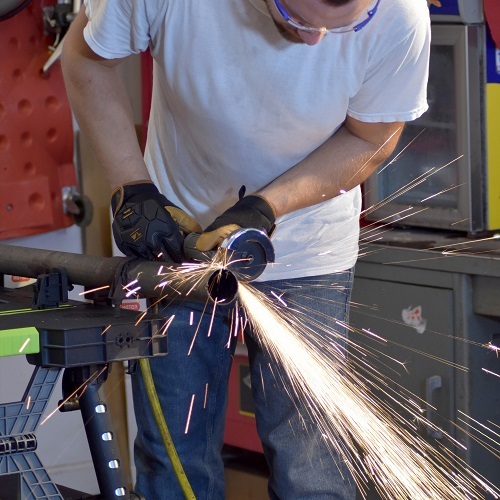 The Campbell Hausfeld air cut-off tool delivers the power you need for your tough cutting jobs, ranging from cutting steel rods to fiberglass and angle iron. 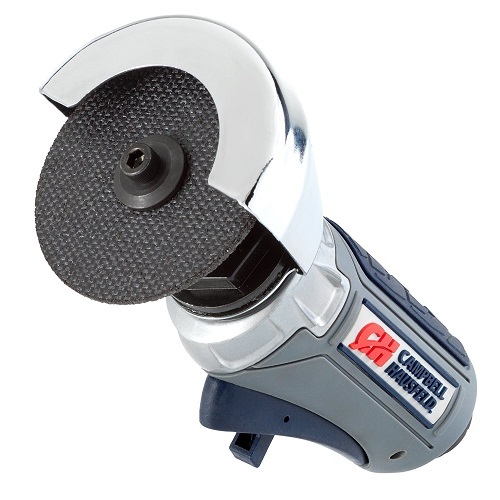 Ideal for heavy-duty cutting applications, the Campbell Hausfeld air cut-off tool delivers 20,000 RPM of fast cutting power. Product includes Allen wrench, stamped wrench and cut-off disc. 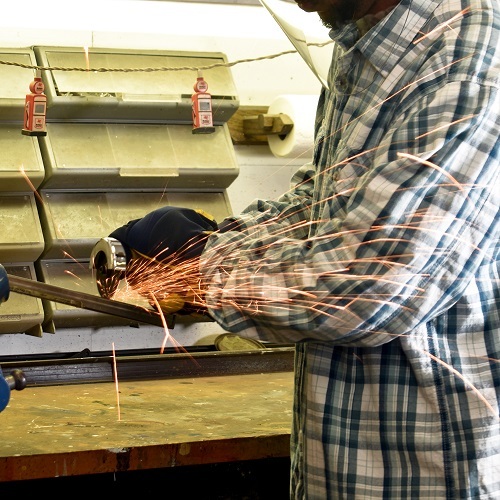 Shop additional cutting discs in our Air Compressor Parts & Accessories.